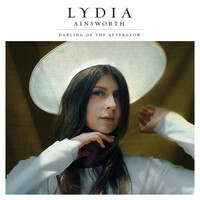 You don’t hear of many artists inspired by influences as diverse as Bernard Hermann, Bulgarian choirs and Ace Of Base, but then there aren’t many artists like Lydia Ainsworth. 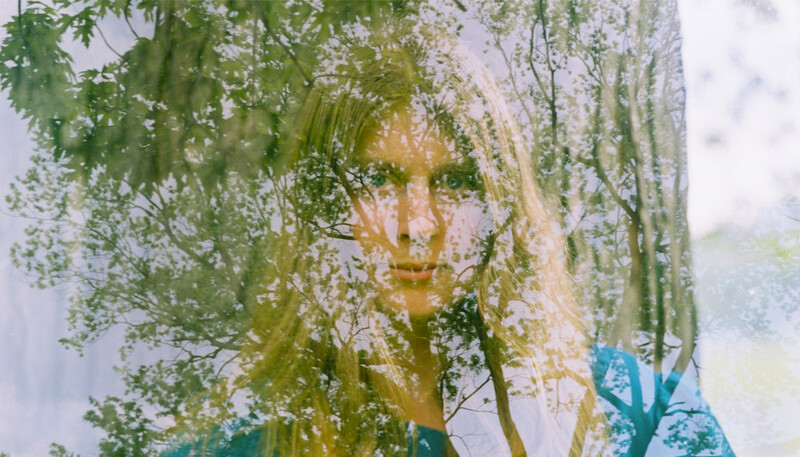 We caught up with the Toronto-based producer and songwriter to find out more about her eclectic musical tastes and Darling Of The Afterglow, the pop-focused follow-up to 2014’s Right From Real. Can we talk about your background, Lydia. You’re from a musical family aren’t you? Well, my dad is a musician, yes. He’s a singer-songwriter but he also wrote jingles for movies and TV. I grew up going to his office and getting to play around programming and checking out all the samples and just really loving that so much. But he was always adamant about me learning how to do it on my own, so I learned how to use Logic and program myself. And you trained in cello, right? I did, yeah. I was really lucky. Growing up in Toronto at the time, we had a good music programme in our schools and I was sent home with a cello. And I went to an arts high school, where I also studied cello performance and I got into writing at that time. I would run home straight from school and lock myself in my room, figuring out the cello lines in Nirvana. Can you tell us about your formative musical tastes? I think they were really eclectic. I would listen to anything from the most saccharine pop like Spice Girls – and I loved Backstreet Boys and Britney Spears – but then I was also listening to tonnes of Björk and Arvo Pärt, and I loved The Beatles and Stevie Wonder. Just anything I could get my hands on. I would run home straight from school and lock myself in my room, figuring out the cello lines in Nirvana and the string arrangements in “Eleanor Rigby”. My dad would get Mojo Magazine and they would come with CDs, like ‘The Roots of Hip Hop’ or ‘The Roots of Techno’ and all these types of genres, and I would just get lost in all of those things. And you moved from Toronto to Brooklyn to attend NYU? Yeah, I went to study film-scoring there. I started writing film music when I was in Montreal and I got the opportunity to write for a 50-piece orchestra and there was such an amazing experience that I was like, “Argh, I have to do this always.” I followed that to film scoring in New York but I actually ended up starting to do songwriting there, so it turned my attention towards that more. I use what I’ve learned in film-scoring in my songwriting, in terms of programming and orchestrating. Your debut album got a really positive critical response. Did that pile the pressure on for this follow-up? It did receive great reviews but it was the first time I’ve ever been reviewed and, at the same time, sometimes a bad review is good. Art should be challenging too. I guess I still feel like I’m starting from scratch with this album. It’s been a long time and I feel like I didn’t really make the most of those reviews, really. When did you begin work on Darling of the Afterglow? Well, some of the songs began at the same time as Right From Real – or even before – and they just needed time and space for me to form some ideas about where to take them. Some things just can’t be forced and so I just sat on them for a while. And then for the most part I wrote [the album] after I toured for a little bit. So you road-tested these songs? In a way, I guess, but I had already decided I had finished the album. I went on tour with Purity Ring and some other bands and I did play the songs live and was really excited by the reactions of the audience. I guess that helped my confidence in finishing off the album, but I didn’t actually play them live while I was writing them. Darling Of The Afterglow feels less brooding, and more pop than Right From Real. Would you agree? Yeah, I think it is more pop. I think that a part of the reason for that is getting to perform and use my voice in a way that I just hadn’t before, in the live setting. I think bringing those live experiences into the studio influenced the way I wanted to mix and record my voice, and the way I wanted to sing. So there are a lot of layers on Right From Real that obscure the voice, whereas on this one my voice is front and centre. How else do you feel you’ve evolved creatively on this album? I think I’m always trying to convey the most honest and true expression that I can and looking for a challenge in what I do. With “Wicked Game”, I guess that brings it back again to the vocals, but I was just looking to really rely on my vocals in a way that none of my songs previously had. On the album you state, “To play it safe is not to play at all.” Does that sum up your creative approach? Yeah, I think so. You really need to just please yourself when you’re writing; I do, anyways. I’m not trying to impress anyone other than myself. There’s a great quote by Björk, actually, where she says that the more selfish you are, the more generous you are, and I think that’s true. You have to follow your instincts. And maybe [this album] is more pop, but that’s just the way I wanted to express myself at that point in time. “Nighttime Watching” has a fascinating, sound collage feel. Can you tell us about the composition of that song? Yeah, that’s one of the tracks that began a long time ago when I was using sounds around my apartment at the time, and I even sampled my friend on oboe playing these noisy textures. It is very much a sound-collage-y piece and there are lots of samples from that point in time of my life, but that’s one that I sat on for a while and finished many years later, in a studio in Toronto. It was a long evolution. You described your debut as being inspired by dreams and thoughts. This album feels a lot more physical – where were you looking for inspiration thematically? Well, I think this album is just like the last one but maybe I didn’t really identify with the last one. I draw from life experiences – love, losing friends, gaining friends... It’s like a surreal scrapbook of the past few years. Were there any cultural reference points? For the song “Afterglow” I was inspired by an Art Deco statue in Los Angeles, where I was staying at the time. She’s called The Queen Of Angels, and she stands just at the edge of Echo Park Lake. It was almost like she was singing to me the lyrics to the song “Afterglow”: “You’re the darling of the afterglow / Take what you want, take what you need.” It was a comforting moment for me. And then also, the song “Feel It All” was inspired by a podcast I was listening to about a woman who was talking about her experiences of having a stroke. She was talking about how she had lost the ability to see in three dimensions and about how she had lost the ability to remember, so everything was coming at her all at once. And I was inspired by that idea of feeling everything all at once, filtering information all the time, so there’s a lot of things that we’re not seeing. Is there anything you’ve learned in the making of this album in particular? I think that in a lot of my work I’m always dealing with feelings of isolation and wanting to connect, and I think this follows suit in that I’m interested in the ways in which we censor ourselves and the internal dialogue. So maybe this album showed that theme in my work to me.